Growing up, female HVAC technician Alexandra Unitas saw her father work the mechanical trades field and she just knew she should follow in his footsteps for her career. Unitas has always been mechanically inclined and she has always like to be able to do things for herself and not rely on someone else to fix what is broken. So, it only made sense that she would pursue work in the field of HVAC. Getting a Start As a Female HVAC Technician? 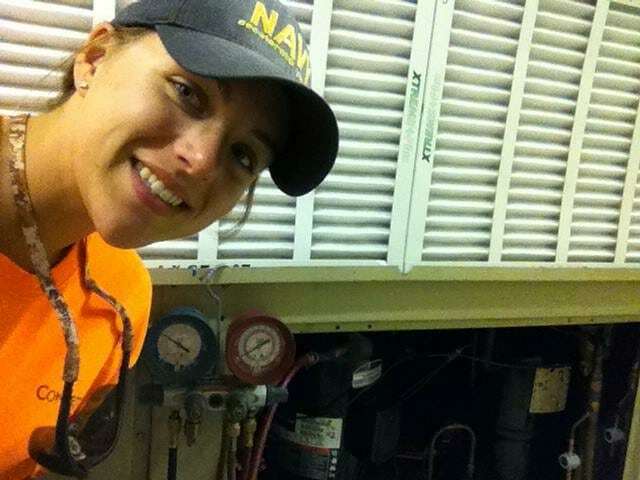 When Unitas was a sophomore in high school she had the opportunity to begin her training as a female HVAC technician. This gave her a good jump on others. After graduation from high school, Unitas furthered her schooling at York Technical Institute where she earned her certification. Her first job as a female HVAC technician was with Walton & Company. Unitas was hired on as a service technician and enjoyed the job. However, a few years later, she decided to try her hand at teaching HVAC at Dulaney High School. She quickly realized she prefered the service end of the field and returned to Walton & Company. Unitas just celebrated 5 years with the company. You may see Unitas if you call Walton & Company for a service call. She performs service and maintenance, along with the many other duties any other HVAC technician would perform. At times people do seem surprised to see a female technician arrive at their door. However, any reservation a person might have passes quickly as they see that she is well seasoned and equipped to tackle any issue they may have. Unitas enjoys serving others with her position at Walton & Company. She never knows who she is going to meet and she appreciates the opportunity to solve the problem at hand. Unitas recently attended the National Association of Women in Construction Conference, NAWIC: Building a Female Future, held in Baltimore this past April. 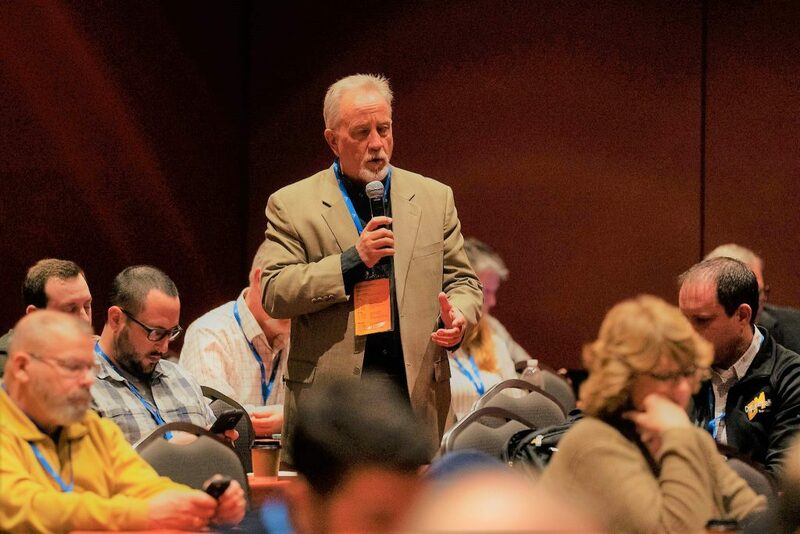 The conference touched on trends in construction and was designed to help attendees expand upon their professional skills. They were also given time to talk with other women in the construction industry. Walton & Company is proud to have Alexandra Unitas as part of our team as a female HVAC technician. She does superior work and we were happy to have her attend the NAWIC conference. If you have HVAC needs or would like more information about our services, please give us a call at 717-755-9030 or visit our website.